Fanless industrial PCs are excelent in environments dominated by dust, dirt and moisture. They are ideal for applications that require quiet operation. Small and reliable MiniPC use of heat-pipe technology and aluminum fans for passive cooling.MiniPC Nuc IBOX-501 N5 is a series of devices for industrial applications requiring continuous operation - 24 hours, 7 days a week. Housing dimensions are 134 (W) x124 (L) x36 (H) mm. Housing is made ​​of high quality aluminum what ensures a very high resistance to mechanical damages. This model is ready at any time for operation even in extreme conditions such as heat, cold, vibration.Using the latest technology Digital Engine (industrial fanless MiniPC) is designed for continuous multitasking operating with low power consumption. An important advantage is the effective combination of small size with considerable opportunities through the use of Intel's processor family, Intel chipset and 2/4/8GB DDR3 memory. Integrated Intel HD Graphics video and audio Realtek ALC662 allow you to play a wide range of applications and media files (video, audio) - in Full HD quality. Disks offer free space 32GB/64GB/128GB SSD and 500GB HDD. The industrial fanless MiniPC Nuc IBOX-501 N5 uses a special method of cooling. This cooling takes place mainly by means of housing having a very large surface (longitudinal lamells, ribs) - for heat dissipation. 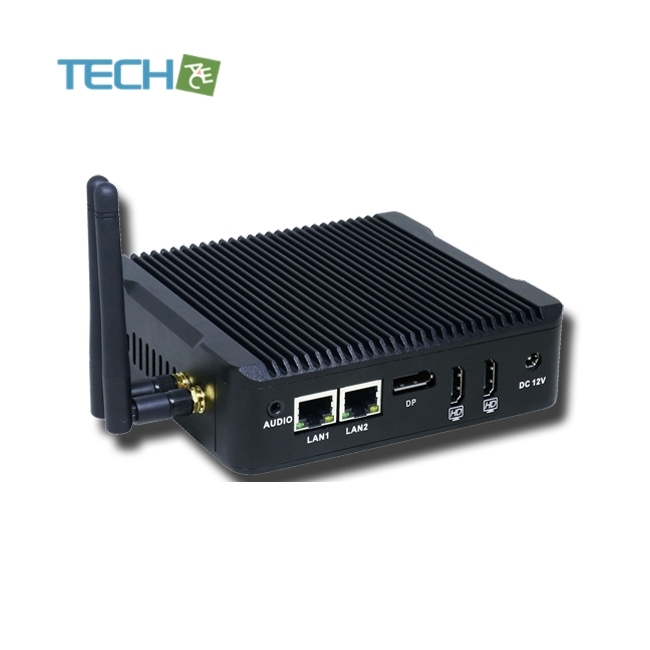 Industrial MiniPC Nuc IBOX-501 N5 are based on high-performance quad-core processors and high-quality components. Mini computers are locked in small industrial housing which perfectly discharge heat from the device interior. Wide choice of IBOX models can give possibility to configure, enabling optimal selection of mini computer to multimedia applications and industrial applications. 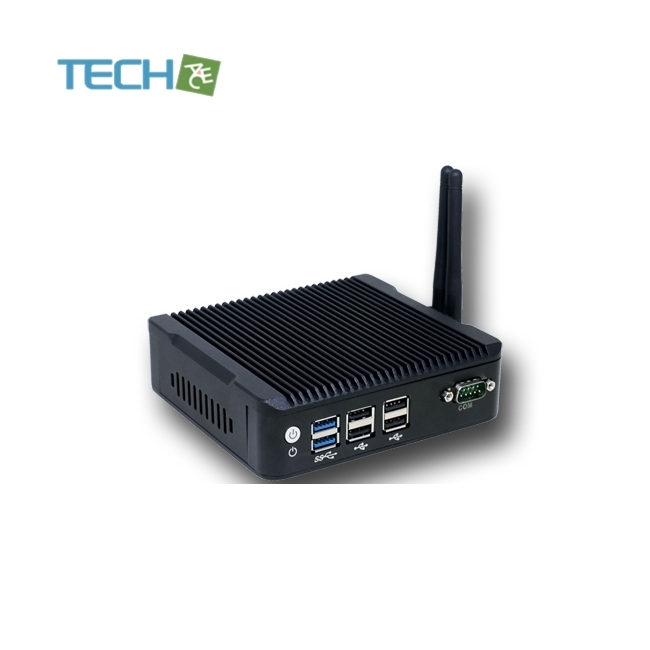 The biggest advantages Industrial Computer Fanless MiniPC Nuc IBOX-501 N5 of these devices are: small size, performance and energy efficiency. An extra pair of brackets at the bottom of the enclosure increases the possibility of installation in all kinds of places and positions. Offered model mini PC has been selectively chosen and configured specifically to the requirements of Digital Signage systems, gaming machines, amusement machines, information kiosks and industrial automation systems. Small, fanless computer can find various of commercial applications such as computer system for sale, for display informations about the products on monitors or ads on the big screens. With the help of handles combined with the housing there are many mounting possibilities - such as: in shops (at the cash register, at the back of monitors for LCD / LED), in factories halls, in the cars which are used for distribute different kind of products, etc., will certainly find application in all kinds of networks trade. Industrial fanless MiniPC Nuc IBOX-501 N5 by USB ports can be used to connect multiple devices in the store or warehouse and make them easier to control. Its durable housing is perfectly designed for the harsh conditions prevailing in these areas. Any dust or dirt does not impede him in his work, will work without any problems even in high concentrations of dust and in polluted environments. MiniPC Nuc IBOX-501 N5 can be used on transport market, in cars, through adapting him to operate with a supply 12V. Mini computer can be used in cars, buses, trams, taxis, trains, and even airplanes. Thanks to its functions is suitable for all vehicles in which the restriction is a small space to mount additional hardware.